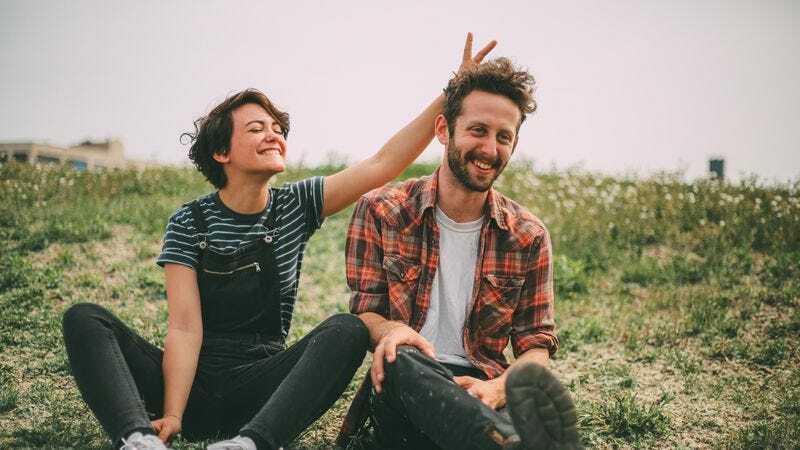 Having released its debut, five-song EP Over Easy earlier this year, New York two-piece Diet Cig has made huge strides since then. On its follow-up EP for Father/Daughter Records, Sleep Talk, Alex Luciano and Noah Bowman smoothed out all the rough edges to create a pair of punky pop songs that sound like the spiritual successors to Tiger Trap. The A.V. Club is premiering the video for “Sleep Talk” below, a clip that finds Luciano and Bowman taking a road trip in the same way that Conan O’Brien used to take his desk out for a spin. Sleep Talk is out now, and the band’s upcoming tour dates can be found below.